Lighting is extremely important to the functioning of any hotel whether that hotel is large or small. Hotel wall lights are used in many places throughout the hotel including guest rooms, bathrooms, staircases, and hallways. Wall mounted hotel lighting fixtures are not only functional but may be decorative as well. Here is a look at some uses for hotel wall lights. Hotel staircase lighting can be supplied in one of two ways. Regular hotel lamps can be placed high on the walls of staircases to provide adequate lighting during both the day and early evening as well as after dark. Low level staircase lights can be placed beside every step or every other step to provide safe travelling up and down the stairs after dark or in the front of each stair tread for both safety and decorative effect. Many hotels place hotel lights in hallways scattering then several feet apart in order to provide lighting for guest who arrive back at the hotel after dark to easily make their way down the hallway to their rooms. LED Hotel wall lights also make it easier for hotel staff to attend to their business throughout the hotel during the evening hours. Hotel wall lights in bedrooms are quite common and are often used over or on either side of vanity mirrors or as wall mounted reading lamps. Wall mounted reading lamps in hotel rooms allows guest to rest bed while looking through business reports, reading a book, or through travel brochures. In most cases, these hotel lighting fixtures also adds to the rooms charm and décor. 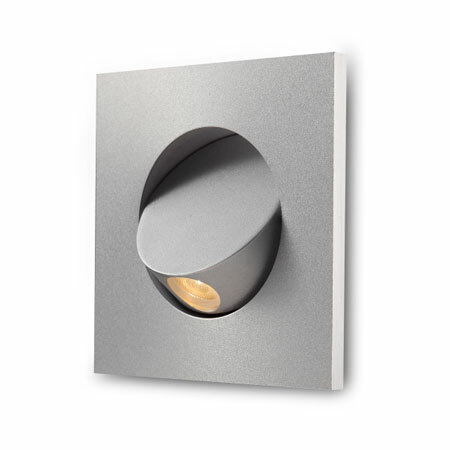 Here at Ultra Beam Lighting we have a wide range of Hotel wall light options for you to choose from. All of our LED hotel lights use the latest LED technology resulting in high quality lighting that is easy to maintain and extremely energy efficient saving your hotel money and adding to your business’s profits. The LED light bulbs for our lamps are incredibly long-lasting providing 20,000 hours of light for each light bulb, which means each of your light bulbs will last about 20 times longer than standard light bulbs. Our ultra modern lights are a perfect fit for both small boutique hotels as well as larger chain hotels and in fact our lighting has already been used in some popular UK chain hotels. In addition, to our Hotel wall lights, we also provide both outdoor hotel wall lights and spike lighting for hotels that want to highlight their grounds. 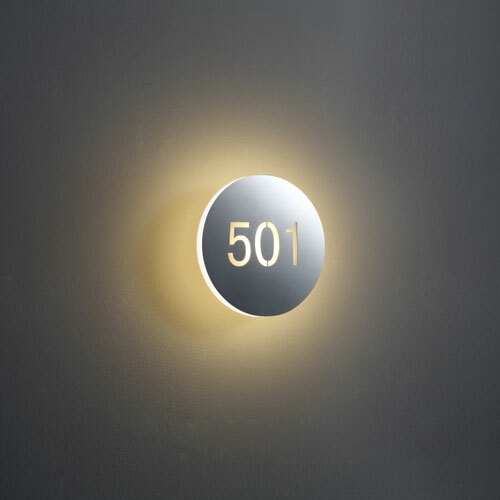 We also provide LED lighted room numbers. If you are looking for either indoor or outdoor wall lighting for your hotel or bed and breakfast or outdoor garden lighting for your hotel then please take a few minutes to browse our website. If you have any questions regarding our hotel lighting options you can either speak to our online representative or give us a call at 0800-678-5156.